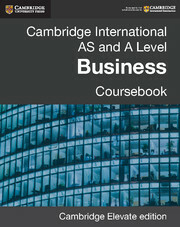 Our Cambridge International AS and A level Business resources are written by an experienced and well known author team. 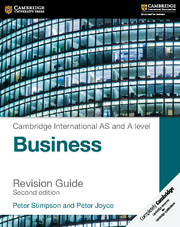 The series provides comprehensive coverage of the syllabus and assessment objectives, and is fully endorsed by Cambridge International Examinations. The components work together to cover all required content, methodology and skills. 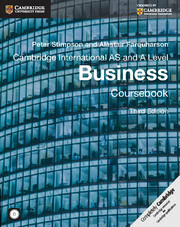 The coursebook has a visually attractive and engaging design, and is accessible to students with a wide range of abilities including those who do not have English as their first language. 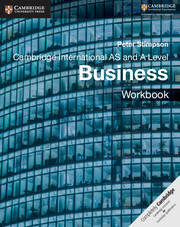 Features include self-assessment activities to reinforce learning as well as international case studies to develop analytical and research skills. 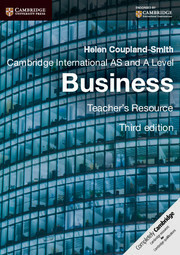 The Teacher's Resource CD-ROM gives teachers extensive support as well as further resources to use in class.